Lt. Cdr. Robert “Bob” Bruce Bussler, U.S Navy Retired, went peacefully to be with the Lord on November 9, 2018. He was 93 years old and was surrounded by his loving, devoted family and will be greatly missed by everyone who knew him. Mr. Bussler was born on April 7, 1925 in Ramey, Pennsylvania of Arthur and Mary Eleanor (McCrossin) Bussler. He was a proud World War II Veteran, who also served in the Korean Conflict. He was an integral member of many branches of the Masonic Order for more than 50 years, the Free and Accepted Masons (Worshipful Master 1975), Royal Arch Masons (Grand High Priest 1980). Bob retired from the D.O.D. 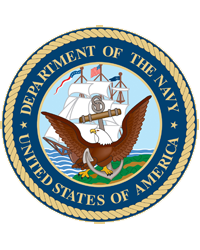 (Naval Air Systems Command) and vice president of National Systems Management Corporation. He worked tirelessly for his community, volunteering for his Church, Meals on Wheels, Goodwill, Salvation Army and multiple other organizations. He loved God, his family, his country, and his Church, and served each with enthusiasm, integrity and strength. He was preceded in death by his wife Evelyn Louise (Murrell) Bussler. He is survived by his two daughters Mary Louise Bussler, D.P.M., Jan Bussler, R.N., and two granddaughters Andrea and Codie Gesumaria, as well as his son-in-law Brandon Greenfield, M.D. A visitation will be held at Everly Wheatly Funeral Home, 1500 W. Braddock Road, Alexandria, VA on Sunday, Nov. 18 from 2:00-4:00 PM and 6:00-8:00 PM. A memorial will take place on Monday, Nov. 19 at 11:00 AM at Everly Wheatly Funeral Home. A reception will follow at the Goodwin House Bailey’s Crossroads, 3440 S. Jefferson Street, Falls Church, VA 22041. Interment will be at Arlington National Cemetery at a later date. All are welcome to attend and celebrate Mr. Bussler’s life. In lieu of flowers, please donate to the Goodwin House Foundation, Wounded Warrior Project or the Goodwill.